I felt that the Four Finger Fundraiser merited a blog post. I met Jonathan and Amber Perrodin two years ago at Renegade Craft Fair in Austin a few booths down from mine. Salt of the earth kind of folks, ya know? They live in Springdale, Arkansas and are leaders in the craft/art movement up in Northwest Arkansas. 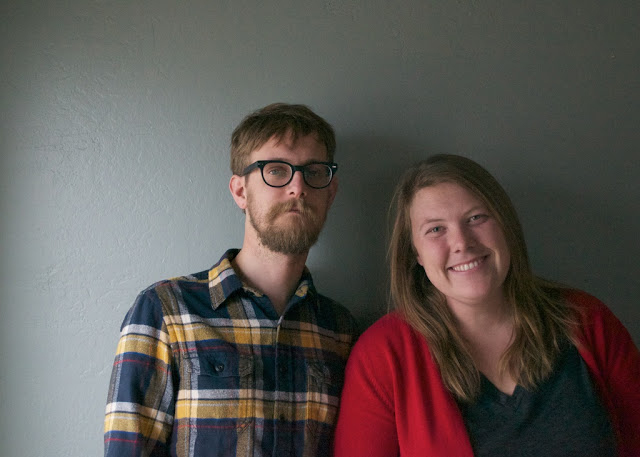 Jonathan and Amber are the hands and brain behind Perrodin Supply Company. You can read more about it on their about page on Etsy. “Perrodin Supply began in January of 2012. After making artist panels and handcrafted canvases for nearly 10 years on a small, local scale, Jonathan decided to begin offering his services to a wider audience. They are both humbled and honored to have worked with nationally and internationally recognized artists. A few weeks ago, Jonathan was working on the saw and cut off his index finger on his right hand! I still cringe at that thought. They could not repair his finger. He is now having to relearn his trade without his index finger! I can’t even imagine how to do that. They are facing an overwhelming amount of medical bills. There are 33 artists who have organized online a Pop Up shop, spearheaded by my amazingly talented friend Stacie Bloomfield. It is called the Four Finger Fundraiser. (I got to create the logo!) 100% of the proceeds are going to Jonathan and Amber. Of course I’m contributing along with some of my awesome friends, Thimblepress, Tim Cook, Weather and Noise, Leah Duncan, Strawberry Luna, Bella Vita Jewelry, Tumbleweeds Handcraft, Peru Paper Company, Buffalo Blue Designs and the list goes ON! You want to know the really cool thing? Some of these people have never met the Perrodin’s. That is one of the beautiful things about the craft community. I hope you will consider supporting the Perrodin’s with this fundraiser! And you will be getting really really awesome work in return! The shop opens Monday, March 11th. You can follow the Four Finger Fundraiser on Twitter and on Facebook. And please spread the word! I am hoping everything sells out the first day!